The Gold FUN bar was one of the many FUN bars released as part of the 2015 Christmas range. Originally released in 2013 this gold lustre covers bar wouldn’t look a miss sat on a Christmas tree! It’s so festive looking and ever so elegant. Sharing its scent with the much loved Honey I Washed The Kids scent, this FUN bar has a very sweet toffee like scent with a slight fruity hint. This scent is one of my favourites as I love anything sickly and sweet, however I did find the FUN bar to be quite subtle with its scent and after a while of using this product the scent was almost totally lost. FUN is such a great product and can be used in a variety of ways, such as shampoo, bubble bath and shower gel making this the perfect product for traveling with as the one bar double up for pretty much everything you could ever need. You can even use FUN to do your washing with. 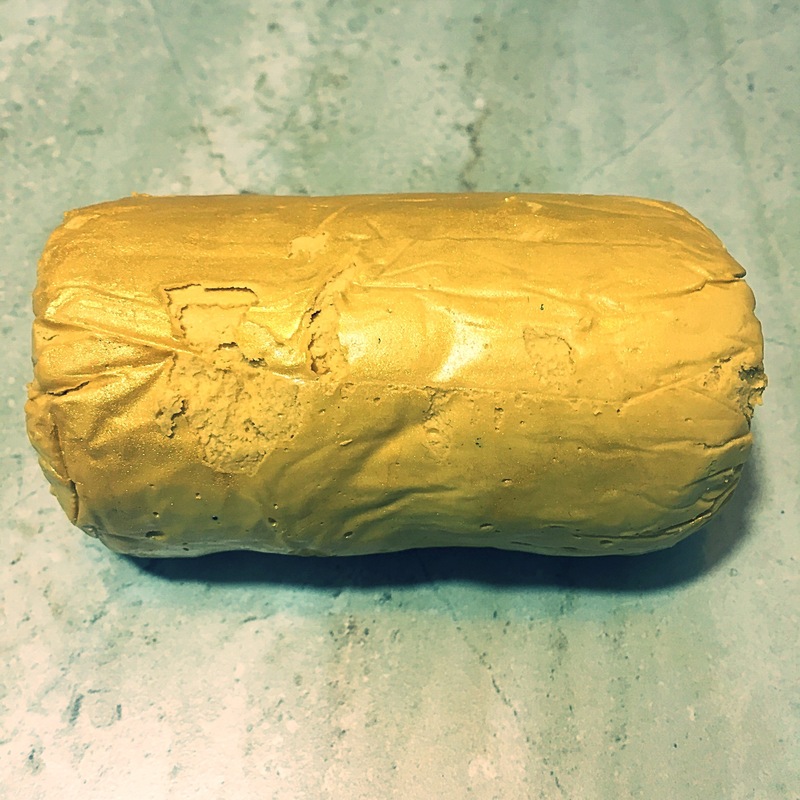 The Gold FUN did seem quite sticky compared to some of the other bars that I have tried. I did however cut my bar up and stored the slices in an air tight container which did help with this a little. Overall although a little weak scent wise I loved the Gold FUN! I loved the scent and as always love the concept of the product. 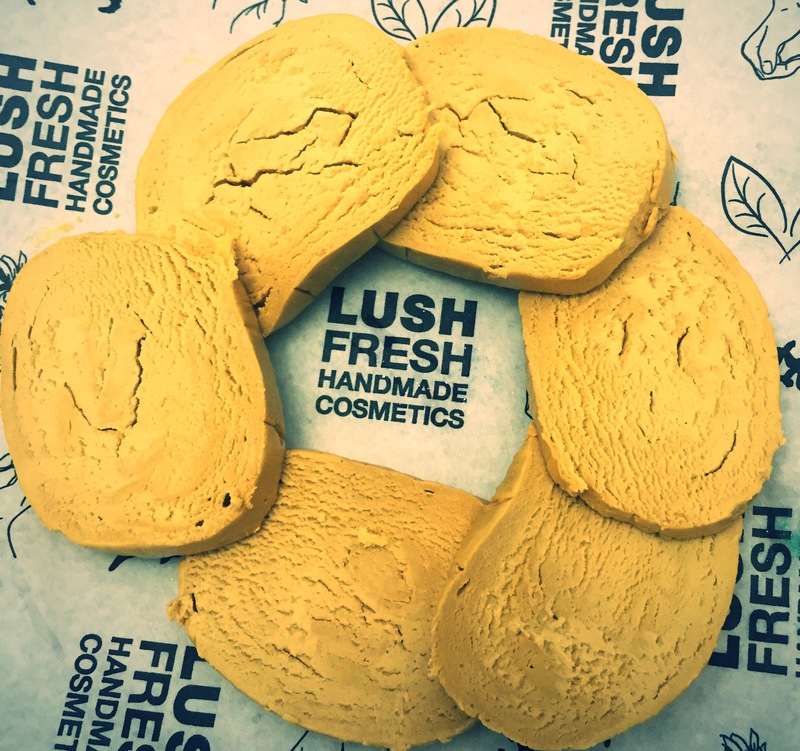 What is your favourite Lush FUN? INGREDIENTS: talc, cornflower, glycerine, sodium laureth sulfate, lustre radiant gold, sweet wild orange oil, bergamot oil, limonene, linalool, benzyl benzoate, Butylphenyl, methylpropional, perfume.